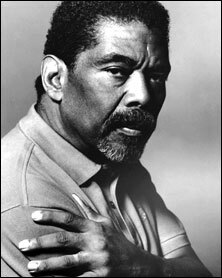 1931 – Alvin Ailey was born on January 5, 1931 in Rogers, Texas. Ailey would become a world renowned dancer and choreographer. After moving to California and studying under Lester Horton, Alvin performed in a number of Broadway shows alongside Diahann Carroll, Pearl Bailey, Lena Horne, Harry Belafonte and Ricardo Montalbán. He also performed on television and in a nightclub act called “Al and Rita” with Maya Angelou. Feeling constrained and underwhelmed, he decided to create dance performances on his own and opened the Alvin Ailey American Dance Theater in 1958. Ailey mixed modern dance with traditional ballet, jazz and African dance to tell the stories of African-American pain and sorrows. While his dance group focused on Black dance and issues, it was multi-racial and appealed to a wide audience. His two signature works were Revelations (1960) which drew upon his early memories of life in Texas and Cry (1971) which he dedicated to his mother and Black women everywhere. Ailey died in New York in 1989. ]1943 – George Washington Carver Day celebrated. George Washington Carver Day honors the brilliant agricultural chemist who died on this day in 1943. Carver is best known for finding hundreds of uses for the common peanut revitalizing the peanut industry and transforming the agricultural industry. His ideas of crop rotation revitalized farmlands and replenished soil with rich nutrients changing the way in which farmers planted and harvested their crops. Called the “Wizard of Tuskegee” Carver died at age 79 in Tuskegee, Alabama. For more information on George Washington Carver, visit his profile at Great Black Heroes.